After the failure of a mandatory checkoff program—a "Got Milk?" for organics—an industry group is creating a voluntary version to help move organic forward. In September, not long after the U.S. Department of Agriculture (USDA) scuttled a proposal for a mandatory checkoff program for the organic industry, the Organic Trade Association (OTA) announced its plans to develop a voluntary system. Still in the early stages, the initiative would collect money from willing producers and processors and pool it to promote the sector, provide technical assistance to farmers, and fund consumer and technical research. Organic food is more popular than ever. 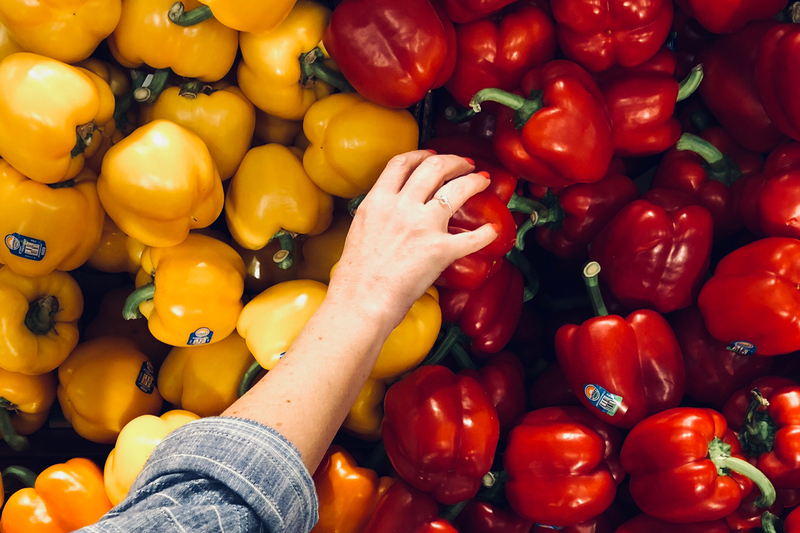 In 2017, organic food sales hit $45.2 billion, up 6.4 percent from the previous year, outpacing the overall food market, which grew just 1.1 percent, according the OTA. But the U.S.-grown organic supply isn’t keeping up with demand, and imported organics have been at the center of some controversy in recent years. At the same time, many consumers remain unclear what the organic designation means, confusing it with labels like “natural” and “non-GMO.” It is essential, therefore, to find ways to attract more farmers to organic production methods and educate consumers about the true value of organic, advocates said. “Stakeholders across the whole value chain have always agreed about the need for investment in the long-term health of the industry,” said Laura Batcha, chief executive of the OTA. The original plan was to create a checkoff through the USDA, a program that would require producers to pay into a central fund that is then used to support the industry. In 2014, the farm bill authorized the creation of checkoffs based not on the commodity itself but by the way it is produced. Then, in 2015, the OTA petitioned the USDA to implement a checkoff including all organic producers and handlers. At the time, an opposition group called No Organic Checkoff pointed to problems other checkoffs have had with mismanagement and corruption and wondered if the money farmers paid would yield any real benefits. The USDA released its proposal for the program in early 2017 and in April, checkoff opponents submitted a petition signed by nearly 1,900 individuals and groups urging the agency to reject the plan, saying it did not address the challenge of increasing organic acreage and was too broad to create a workable program. Then this May, the administration terminated the process, citing lack of consensus within the industry. The OTA went back to the drawing board, and came back with a twofold plan to develop a voluntary checkoff independent of the USDA, while also launching their own research, marketing, and education initiatives to help strengthen the organic sector right away. Eventually these programs would be folded into a checkoff program, Batcha said, but in the short term, the OTA didn’t want to see them delayed. “We didn’t want to put those things in a sequential order and wait before having an impact,” Batcha said. The OTA has started the process of determining a governance structure for a voluntary program. A comment period will remain open until April, allowing feedback from industry members. “We want people to have time to put some good detailed ideas down on paper,” Batcha said. A voluntary checkoff would almost certainly have less to spend than the $30 million annual budget that was projected for the mandatory USDA program, Batcha said. But it would also be more nimble and flexible, able to respond quickly to changes in the market without the potentially cumbersome process of waiting for government approval. Furthermore, a voluntary checkoff would not be subject to the same messaging restrictions as a conventional one. The so-called non-disparagement rule prevents checkoffs from denigrating other products while promoting their own. Skeptics of the original plan took this rule to mean marketing efforts couldn’t declare organic foods superior to conventional, a limitation that might have severely hampered promotional efforts. Supporters of the original plan say it is unclear whether the non-disparagement rule would have been enforced in that way, but agree a voluntary checkoff would be subject to no such restrictions. At the same time, the association has started raising money to fund several programs it hopes will make an immediate difference. The group has partnered with Organic Voices to promote the organic label. It is also planning to work with the Organic Center to advance research by institutions including Harvard University and the University of California at Riverside into soil health and the impacts of climate change. OTA is also working with a market research firm to learn more about what consumers know about organic and what kind of messaging will resonate with them. The organization also hopes to raise $100,000 to put more organic technical specialists in the field. Depending on the amount of money raised and feedback from supporters, the OTA could either pursue a cost-sharing arrangement with the USDA’s Natural Resources Conservation Service to hire new specialists or create a private training program to educate existing technical specialists in organic practices. Veteran organic farmer Marty Mesh, a co-founder of Florida Certified Organic Growers and Consumers, sees these initiatives as vital to the health of consumers and the organic sector alike. The programs, he said, could promote needed research into crop diseases like citrus greening and identify more alternatives to toxic pesticides. And outreach must be done to counter consumer confusion over labels, he said. “We, as a sector, have to get our act together to educate consumers as to why organic deserves [their] support,” Mesh said. Former opponents of the government-sponsored checkoff have mixed feelings about the OTA’s new plan. In 2014, consumer advocacy group Food and Water Watch (FWW) expressed concerns that a checkoff’s decision-making process would have been dominated by large producers to the detriment of small farmers. However, a voluntary checkoff would mean small farmers do not have to pay into the system, FWW’s assistant director Patty Lovera noted with approval. But she still questioned whether a voluntary system created to serve OTA members, a group she describes as “increasingly corporate,” would serve the needs of smaller producers. John Bobbe, executive director of the Organic Farmers’ Agency for Relationship Marketing (OFARM), was a member of the No Organic Checkoff coalition and has always argued that a voluntary checkoff would be a better choice than going through the USDA. Conventional checkoffs, he said, have too often been rife with corruption. In 2015, for example, the president of the American Egg Board resigned after the discovery that the checkoff had been waging a secret campaign against Hampton Creek’s vegan Just Mayo spread. In recent years, the National Pork Board has been accused of funneling money to a lobbying group under the pretense of paying for a long-abandoned trademark. Now that a voluntary plan is in the works, however, the OTA has not asked any former opponents to be part of the process of shaping the new proposal, Bobbe said. “It’s back to the same old way that OTA tends to do things—they tend to run off and do them,” he said. A successful voluntary checkoff, Bobbe said, would be guided by what farmers—rather than food processors or distributors—want, and would include mechanisms for funding local entities that can train new organic growers. Checkoff supporters argue that improving awareness of organic and conducting research has the potential to benefit all farmers, regardless of scale. Top photo by sydney Rae on Unsplash. Great idea--- I think always keep it voluntary-- and make sure a clear transparent democratic decision process is implemented..Might even want to create a separate 501 C4 to administer, so the link to OTA is lessened.